Every year for Easter I like to give my nieces and nephews an Easter basket. With mine and my husbands sisters expanding their families at rapid rates, this is making Easter very expensive for us. This year I decided to do something different. 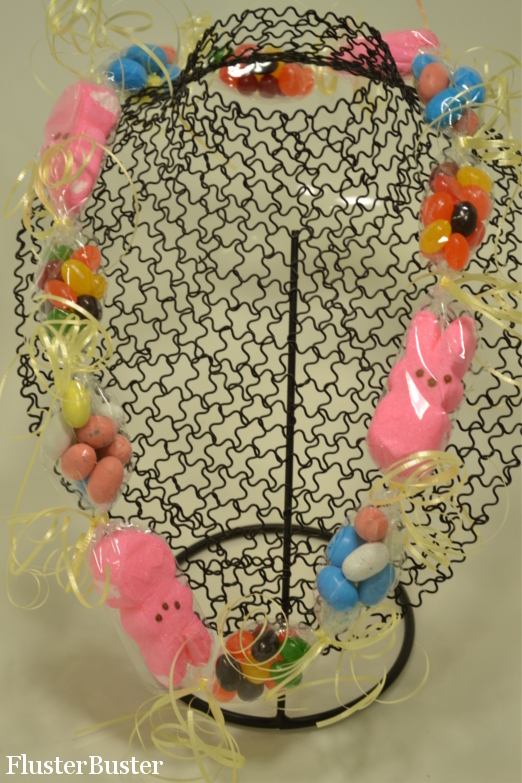 Instead of giving out baskets I decided to make them candy necklaces. This project was so much fun to do and it was a lot easier on our pocket books. I think our nieces and nephews will like it I know my kids did. My kids liked it so much that we decided to make some for my youngest sons class. 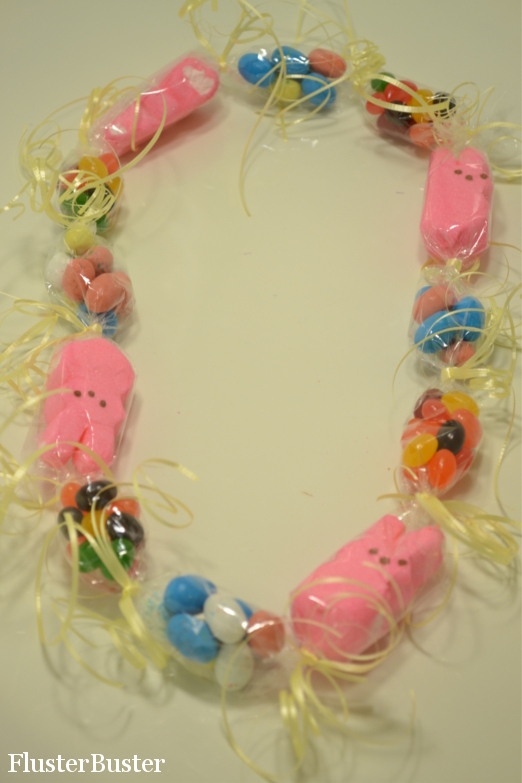 Yesterday, with the help of my kids, we made 40 candy necklaces, 28 for my sons class and 12 for my nieces and nephews. This are really easy to do, especially if you have help tying the ribbon. Cut the cellophane into 6-inch x 4-foot pieces. The easiest way I found to do this is to cut it with a utility knife while it is still on the roll. Cut the ribbon into 12, 12-inch strips. Layout the cellophane, placing the ribbon under the cellophane every 3-inches. 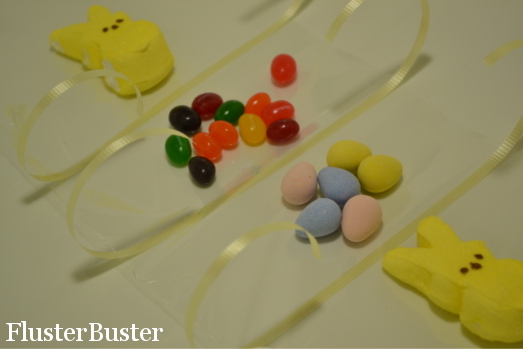 Place the candy on the cellophane between the sections of ribbon. 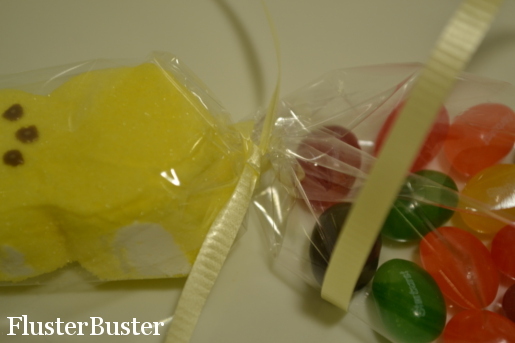 Fold the cellophane over the candy, being sure that it is completely covered. 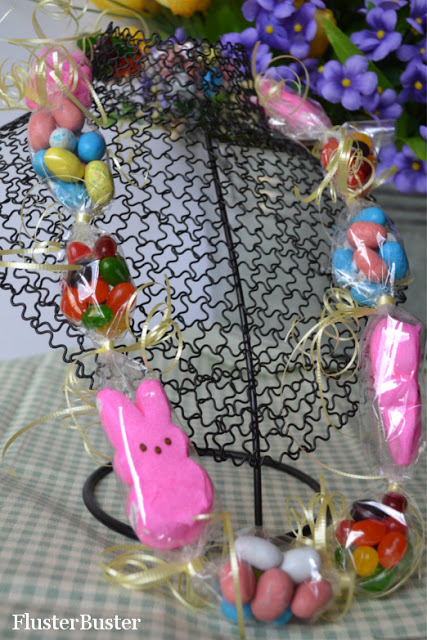 Tie the ribbon to form a pocket around the candy. Continue until you have tied all of the ribbons.. Tie the ends together with a single ribbon. Trim excess cellophane. 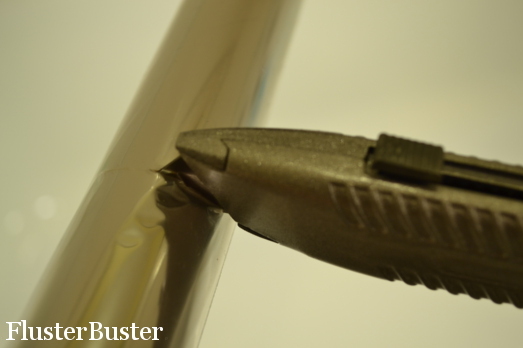 Curl the ribbon with a pair of scissors. What a fantastic idea! I'm going to have to remember this for next year. Wow, this is a wonderful idea-thanks for sharing it. 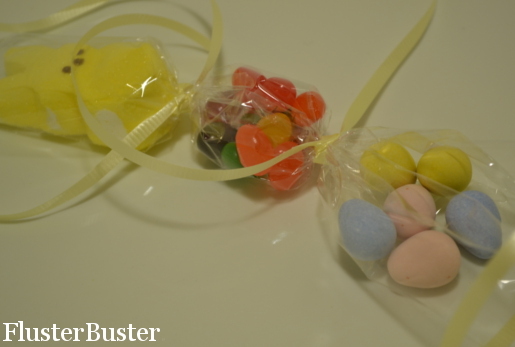 Fun idea and I love that you were able to cut the cellophane quickly while still on the roll! Creative thinking! I'm sure the kids were excited to receive them!